Caption : Kochi, 21/02/10. 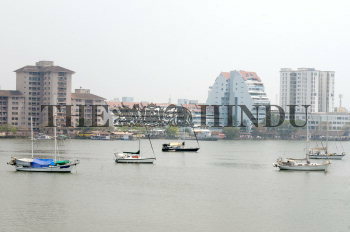 Foreign yachts berthed in the backwaters off Bolghatty Island in Kochi. They generally remain here for a few months up to April. Photo: H. Vibhu.